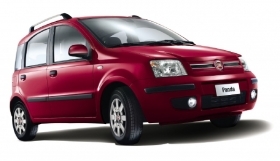 Fiat will start Europewide sales of the new third-generation Panda in February 2012 at 10,200 euros. POMIGLIANO, Italy – Fiat S.p.A. plans to sell 230,000 Pandas next year by offering both the new and current generations of Europe's No. 1 minicar at prices below the Volkswagen Up. "Next year we plan to sell 180,000 to 190,000 units of the new Panda and the rest will be Classic models," Gianni Coda, Fiat's chief operating office for Europe, Middle East and Africa, told Automotive News Europe here today. 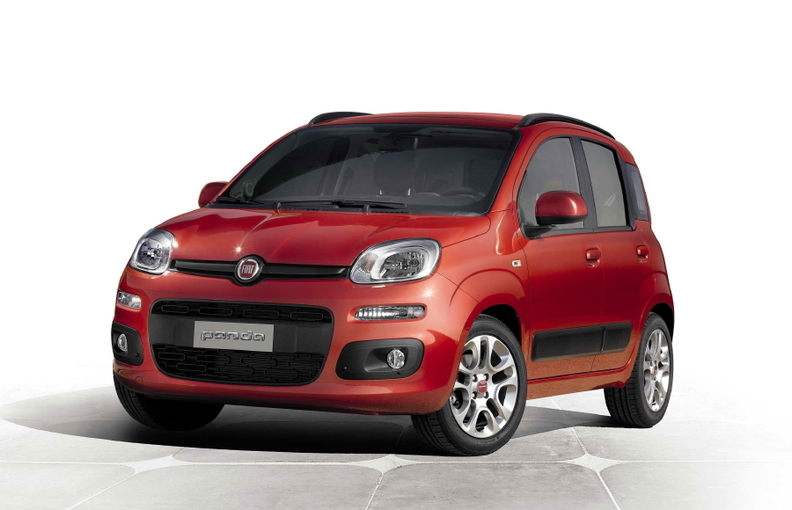 Coda said that the new Panda will start at 10,200 euros when it goes on sale Europewide in February 2012. The current-generation Panda, which will be renamed the Panda Classic, will start at 8,500 euros in Italy, down from today's starting price of 10,250 euros. The Panda has been the segment leader since 2004, but it faces a tough new challenge with this year's launch of the VW Up, which starts at 10,600 euros in Italy. If Fiat hits its 2012 target with the Pandas, the two variants will nearly match the minicar's total European sales in 2010. Through September, Panda sales had declined 22 percent to 140,285 units in Europe, according to market researcher JATO Dynamics. Sales of the current Panda, which is the second generation of the car, peaked at 299,992 units in 2009, when demand in Europe for minicars was artificially inflated by incentives that favored small cars. The new Panda has a rounder design and is 110mm longer at 3640mm. Most of the added length is in the rear to boost the car's trunk space and offer more legroom to back-seat passengers, who also benefit from rear sliding seats for the first time. The Panda also is 50mm wider at 1640mm, which means it can seat three passengers in the rear. Most minicars have room for only two passengers in the back. Designed by under the direction of Fiat styling director Roberto Giolito, the father of the successful Fiat 500 minicar, the new Panda sits on the latest development of Fiat's Mini vehicle architecture. The platform also underpins the Ypsilon from Fiat subsidiary Lancia. Like the current Panda, the new generation only will be offered with five doors because Fiat's other minicar, the 500, is a three-door model. The current-generation Panda, which will be renamed the Panda Classic, and sell for 8,500 euros, down from today's starting price of 10,550 euros. Two four-cylinder engines, a 69hp 1.2-liter normally aspirated gasoline unit and a 75hp 1.3-liter turbodiesel, complete the new Panda's updated engine range. The second-generation Panda, launched in 2003 to replace the first generation that debuted in 1980, has beat Fiat's most optimistic sales predictions. The automaker was planning a volume of 1.2 million over a six-year life cycle. In July, the current Panda surpassed 2 million sales after eight years on the market. The new Panda is built at a former Alfa Romeo plant in Pomigliano d'Arco, near Naples, southern Italy. Fiat spent 800 million euros to develop the new Panda and to increase the Pomigliano plant's capacity to 270,000 units a year.